Thermofluor was the major high-througput screening approach used at 3DP from 1999 to 2003. During that time, desire for increased throughput motivated development of a new generation instrument that used a custom 1536-well plate and incorporated an enhanced imaging system allowing reduction in the amount of protein required for a single Tm determination by a factor of 5-10 fold. A prototype 1536 instrument was built and successfully tested, but development ceased in 2003. 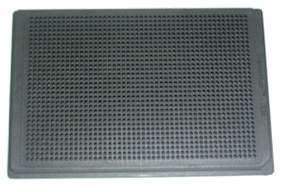 3DP developed a custom 1536-well plate manufactured from a silicon-nitride filled cyclic olefin polymer. This material met the dual requirements for high thermal conductivity and chemical inertness. 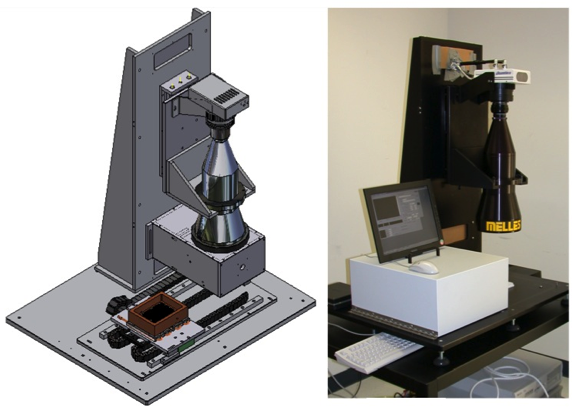 Under development at 3DP in 2003, the 1536 instrument was designed to perform 100,000 assays using 2-5 mgs protein and to provide 4x the throughput of the 384-well plate instrument.